Seems fitting hanging out with the barrels. 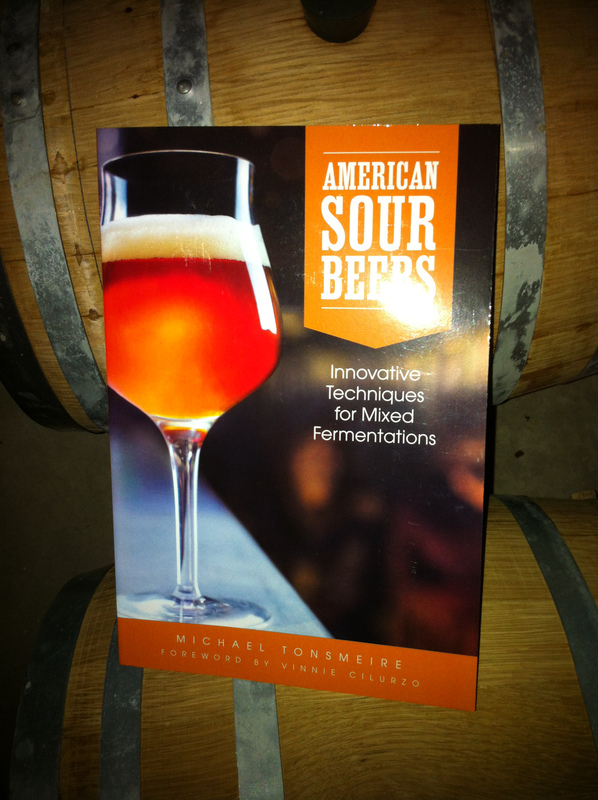 I have been asking Michael Tonsmeire (The Mad Fermentationist) questions for at least three or four years: probably six months before I brewed my first foray into sour/wild home brewing. I wanted to know how I could work with Brett and how this magical yeast would be different from Sacch. Keeping it from contaminating my other beers and gear was a huge concern. I also learned that Brett does truly sour the way that the bacteria lacto does. Since those early days my home brewery has lived harmoniously in the sour and normal beer realm. I feel like I have graduated to middle school. I have a miniscule amount of knowledge compared to Mike on the topic. Mike has had articles in BYO magazine for years but the first time I can remember him bringing up the idea of a book was via a poll on his blog. The book has been out a couple of months. Brando, the owner of the local home brewing store, Chicago Brew Werks, asked if I had read the book yet. He raved about the book. I had been intending to purchase but that was the last straw. I had to show my appreciation for all the hard work that Mike has put into helping funky home brewers and the book. I am looking forward to the read. I am sure I won’t be able to put it down once I start. Friday night into the weekend will find me with book in one hand and a sour saison (review forthcoming) in the other. Enjoy! Useless Fact: In 1980, a Las Vegas hospital suspended workers for betting on when patients would die. 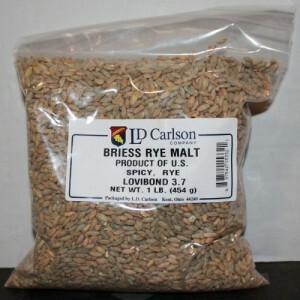 I have brewed a Rye Saison a couple of times (the most recent I haven’t blogged about). Each time I have add some Brett to the beer after primary with a Saison yeast. In both instances there hasn’t been much rye left in the finished beer. I vowed to make a rye beer that would allow the rye to stand on its’ own two feet, while not over powering the beer, keeping balance and complexity. 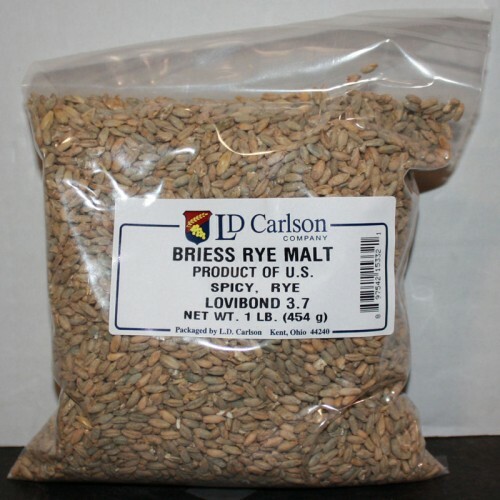 I purchased some rye on my recent visit to the local home brew store (Chicago Brew Werks – probably the best selection of specialty malts I have seen anywhere), with the assertion that a rye beer that I have always wanted was one brew day away. There was only one problem: I hadn’t made a recipe. I thought about it for a bit, realizing that the large amount of hops in my freezer wasn’t getting younger. I had to start using them and a lot of them. That made the decision very simple. American IPA. I had just finished bottling a DIPA a few days earlier, therefore I needed a beer that was more interesting from the malt side, balanced and had a bit of body. I still wanted a dry beer. I like dry IPAs. I needed a recipe, mash and yeast that would let me achieve my goal. I added the Caramel Vienne to get a touch of sweetness and very light toastiness, while the oats would help keep up the body of the beer with a mash at 150*F (was shooting for 151*F) making for a very fermentable wort by the S-05. I chose Cascade for the citrus that I feel is a great compliment to rye while the El Dorado has a nice fruitiness that I think would add a touch of complexity. 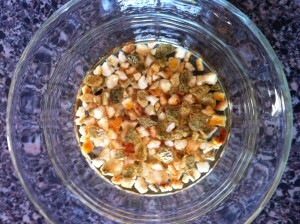 I wanted the Cascade to stand out more – the reason for using more of this hop. 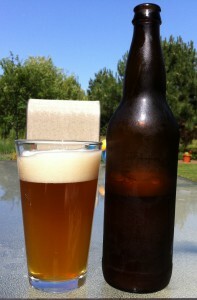 I should be dry hopping this beer around August 23rd, bottling it the following week. Hopefully ready for Bears football. Enjoy! Useless Fact: Sharon Stone was the first Star Search spokes model. You are currently browsing the Sips blog archives for August, 2014.